I often hear women say that they feel like less of a mother or that they don’t feel like they have ‘given birth’ because they had a c-section birth and didn’t go through labour. And as much as I tell myself that thought is rubbish, I have also had my envious moments when I read/ hear of friends having a natural birth and ‘better’ still go without any pain relief. I suppose this might ring in as one of the top regrets for any c-section mummy if you asked what she wished she could change about her entire pregnancy journey. This may or may not apply to all c-section mummies but I know a lot of us had to go through labour pain and succumb to pain relief solutions before we finally had our c-section. I personally had to go through an 18 hour labour with Jah including major sideffects like vomiting and shivering, before my doctor told me that Jah was in distress and we had to do a c-section. Some may even say we had to endure the labour pain before birth and the c-section pain after birth – double whammy! For those mummies who had to proceed straight to a c-section without the labour pains, they didn’t have it easy either. In fact it was probably for very scary/ health threatening reasons that they could not even have natural birth as an option. Major Operation and the works! Yes, a c-section is a major operation! Everything around you feels cold and mechanical. However we are pretty lucky that we get to choose between an epidural and G.A today. This at least allows us to see our baby almost immediately after he/she leaves our womb (if we choose an epidural) and also have our husband by our side. It makes it a little less scary and lonely. I can’t imagine how my mother had 5 c-sections in her time (under G.A) and how scary to not see your baby/ know what was going on until you come around. While I couldn’t fully fathom how major the operation was when it was happening (I really just wanted to get my baby out! ), I think the entire process really stressed Joel out. Total mixed feelings for the daddies who are excited to finally see their baby but feeling totally helpless seeing their wife on an operating table. I have to applaud the c-section daddies who sit by their wives in the operating theatre, not an easy time for sure. 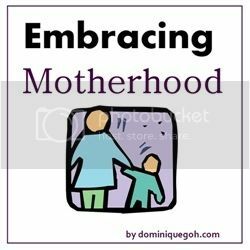 Long after everything is over, life resumes and you and me like any mummy, all deal with our everyday life and parenting in the way we know how (regardless and indifferent to the type of birth we had to endure). Maybe it really makes an impact to a Mum who does natural or c-sect, but I think either way, the reward and satisfaction is equally priceless. Cheers! It was a job well done, with that scar of joy. Totally agree! We might have our perfect birth plan but haha who knows what the next one will bring ya.. I don’t know anything about this but still I learnt! Love love! C-section or natural birth – we are still all real mothers ! Bottom line is we carried the child for 9 months to start with, delivery is about having a personal experience based on medical facts, preference or choice but ultimately we all want to deliver a healthy child ! I don’t care whether its natural or C-section, the good part is there is always pain in delivering a child as well as JOY as mom sees her child. It’s longer to recover with a C-Section. I think that’s as hard as going into labor. I salute all mothers who give birth in any way. I’m not a mother but I have friends who are mothers and they tell me all sort of horror stories during and AFTER giving birth. Not helping me decide whether to have kids or not! I haven’t had a c-section but feel so bad for people who have to due to the recovery process. It must be so hard to look after your little one AND be recovering from major surgery! I prefer the natural baby delivery but in some cases the c-section is the only alternative because of medical prescription. So the scars are worth it because the woman gives life and this is the most noble deeds of all. I had to have an emergency C-section. I did not want it and I was very sad when I had to have it. But sometimes things don’t go as we planned. Every mom is commendable for giving birth to a child. It does not matter to me if the process was natural birth or having to undergo c-section. What’s important is the result. All four of us siblings were birthed via C-section. It really doesn’t make you lest of a mother because that surgery is also life threatening! Being a caesarian mom is hard. I salute moms who went under the knife just to give birth. Anybody who says that, needs their head checked. Carrying a baby and delivering a baby, vaginally or by c-section, takes effort and great risk. For some women to even suggest that some are less than, is insane.